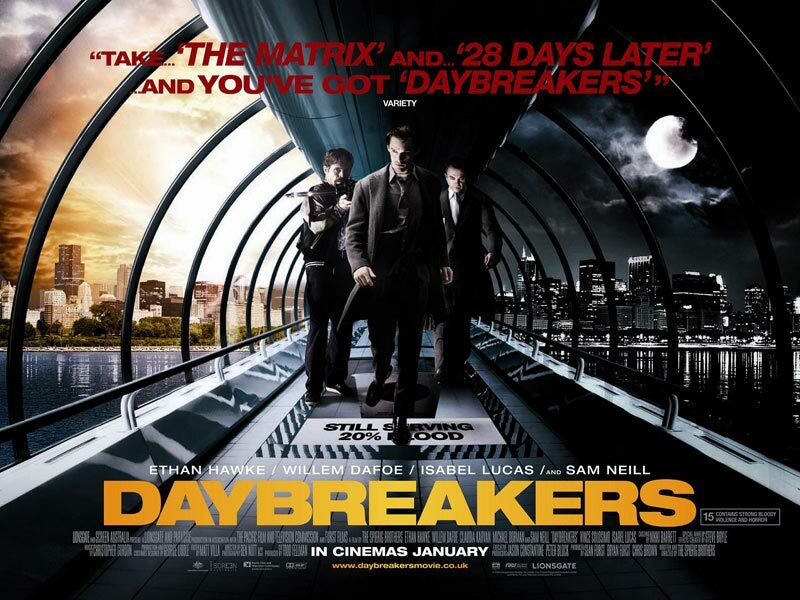 The movie Daybreakers: trailer, clips, photos, soundtrack, news and much more! 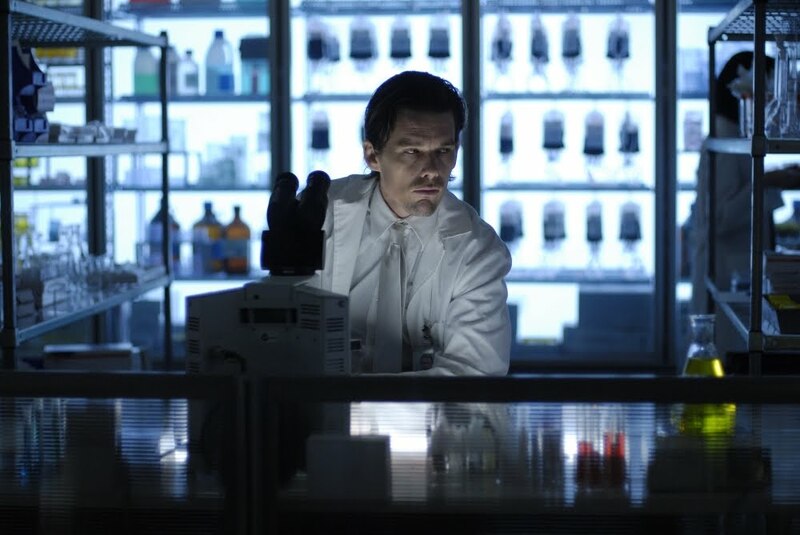 Vampires are craving for a blood substitute in the movie Daybreakers. But actually scientists are already working on creating artificial blood, well not to feed vampires, but to save lives! Vampires can be really nasty when they’re hungry! Mankind is on the wane: the world is now run by vampires! “A blood substitute would mean the end of human hunting”, I disagree with this assertion: vampires would still prefer to get their fresh supply from poor whining humans! Most people have become vampires! Those bloodthirsty vampires can be really nasty when they’re hungry! The vampire movie genre can but welcome the fresh new blood brought by Daybreakers! “Ethan Hawke plays Edward Dalton, a researcher in the year 2019, in which an unknown plague has transformed the world’s population into vampires. As the human population nears extinction, vampires must capture and farm every remaining human, or find a blood substitute before time runs out. Why creating a blood substitute would be so hard? I mean if the world population has been transformed into vampires, then it would make more sense to devote all available resources to develop a substitute… Immortality is a rather interesting side-effect of the vampire virus after all! Mankind has been infected with a highly contagious vampire virus, and now most people need blood to survive. The remaining humans are captured and herded in blood farms: demand needs to be supplied after all! Will see if Willem Dafoe is a friend or a foe of mankind in the movie Daybreakers! Those pictures of Daybreakers don’t tell much, better to watch the trailer of Daybreakers again to have a better understanding of what to expect! I am wondering: do vampires need to visit the dentist from time to time? The movie Daybreakers is an upcoming sci-fi vampire film written and directed by Peter and Michael Spierig. The film is reversing the usual demographics we are used to see in Vampire movie: in Daybreakers Mankind is the new minority! 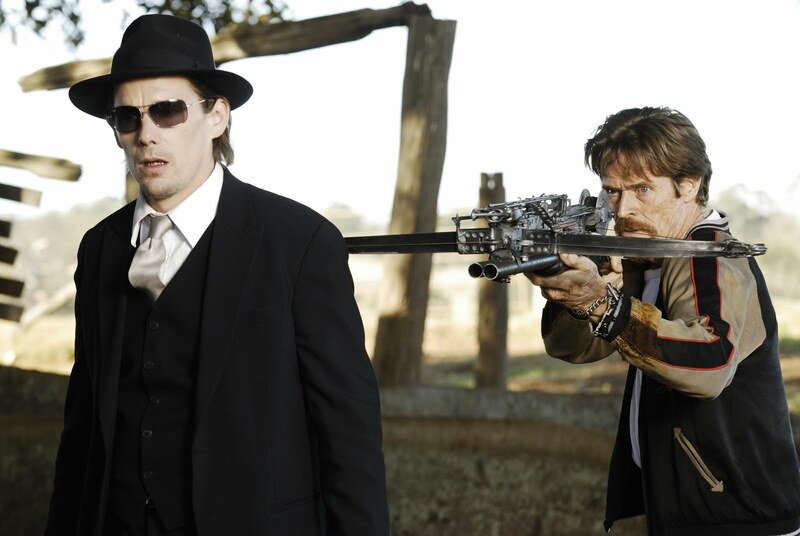 Daybreakers is starring Ethan Hawke, Willem Dafoe, and Sam Neill. It is scheduled for a release on January 8, 2010. Imagine a world where almost everyone is a vampire. This winter the battle between immortality and humanity is on! – Ethan Hawke as Edward Dalton, a vampire researcher who tries to save humanity from extinction. – Sam Neill as a vampire in charge of a corporation. – Willem Dafoe as a vampire who duels with Hawke’s character. – Claudia Karvan as Lucy, Edward’s love interest. – Vince Colosimo in an unnamed role. – Isabel Lucas as the last surviving member of the human race. I think I’d be glad to forgo the status of human in exchange of immortality. And about the blood farms: ok, sure, it’s disgusting. The premise of the movie is that artificial blood (true blood?) can’t be done (at least not fast enough, just to create some suspense). But recent research lets us expect real artificial blood that works in a not-too-distant future. More than vampirism, I’d be appealed by immortality for sure!